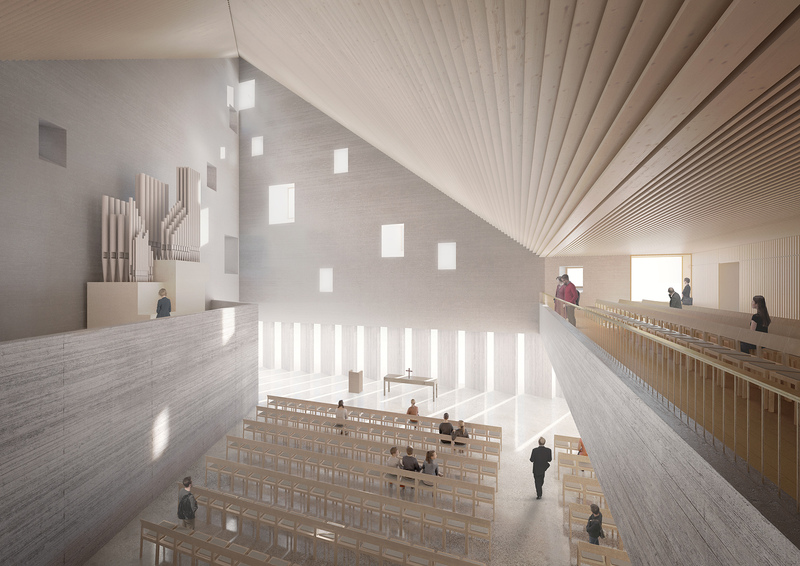 The building permit for the New Tikkurila Church designed by OOPEAA as an alliance project realized in collaboration with Lujatalo and the Vantaa Parishes has been approved by the Vantaa City Planning Office. The construction of the new church will start during the spring and the church is slated to be ready at the end of 2020. The church is commissioned by the Vantaa Parishes. 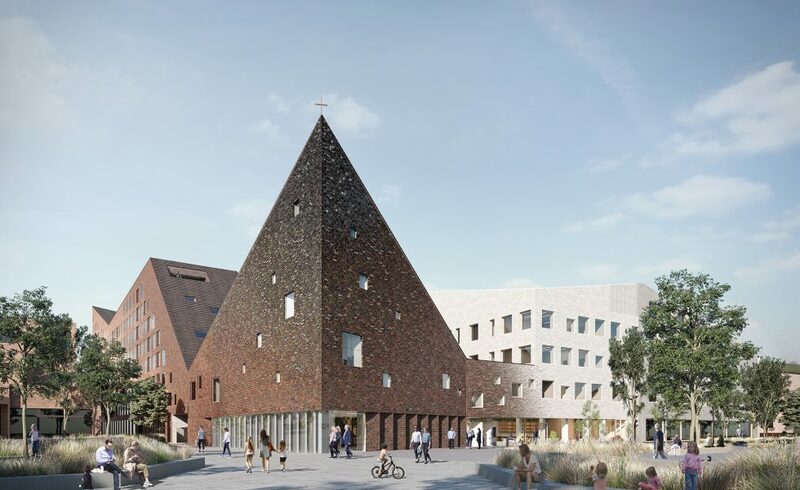 Adjoining the church, a block of housing providing a combination of apartments for affordable housing and student housing is also under design by OOPEAA in alliance with Lujatalo and the Vantaa Parishes. The Bethania Housing will offer 185 units of apartments in a total of 11 725 square meters. It is commissioned by the Vantaa Parishes and by HOAS, the Foundation for Student Housing in the Helsinki Region. Centrally located in Tikkurila, the new church building will serve the community in many ways. It will have a strong presence in the streetscape and form an identifying landmark for the neighborhood. The multifunctional building offers a range of flexibly adaptable spaces accommodating a variety of uses and it is easily accessible by public transportation as well as by foot and by bicycle. The church hall will seat an audience of 500 in its maximum capacity, with the possibility to divide the space in various ways to allow for multiple simultaneous activities according to need. There will be workspace for up to 143 people and several meeting spaces of various sizes offering different levels of openness or privacy to serve the needs of the people of the neighborhood. There will also be a café and a shop area, and the yard of the church will provide additional gathering space in the summer months. The scale of the building takes the personal experience of people as its starting point with accessibility as one of the central guiding principles of the design. Also the shape and the scale of the building follow the principle of accessibility. While the scale is lower and more moderate around the entrances, it grows bigger and taller in the part containing the main church hall, reaching high towards the light that enters into the space in a delicately subtle manner. In the interiors, the atmosphere is cozy and relaxed, and in the choice of materials, the principles of life cycle sustainability and longevity are key. Burnt brick is the one of main materials used in the exterior, with dark roof tiles giving character to the slanted roof surfaces. They are both materials that age well acquiring a beautiful patina over time. 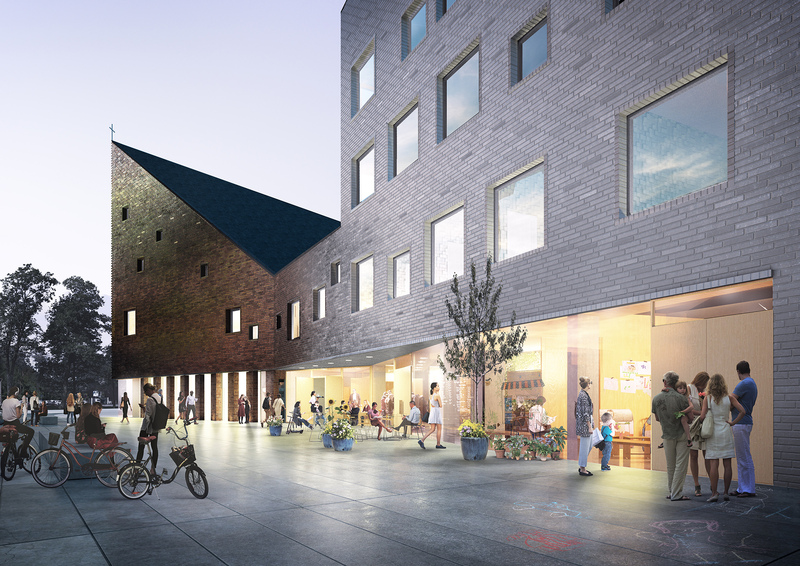 The Vantaa City Council approved the revised plan for the block in June 2018 and the plan entered into effect in August 2018. Demolition of the old structures in the block started in October 2018, and construction of the new church with its multi-functional spaces will start in the coming spring, 2019, with the construction of the Bethania housing block to follow. The design process is conducted in close association with the local people inviting them to engage in a dialogue around the creation of the new church. You can follow the process on the blog “Tikkurilan taivaan alla” at http://tikkurilantaivaanalla.blogspot.com/. The blog is in Finnish. You can find more information on the New Tikkurila Church here.